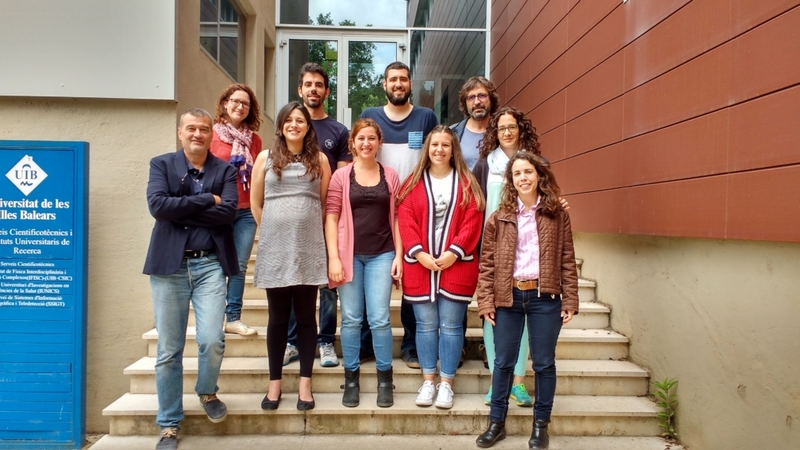 The ‘Cognitive-Affective Neuroscience and Clinical Psychology’ research group of the University of the Balearic Islands (UIB) is now a partner of the interdisciplinary research network for the psychological assessment and PROmotion of mental health and EMotional well-being in young people (PROEM). Specifically, this research group is part of the UIB’s University Institute for Health Sciences Research. Its two main areas of interest are anxiety disorders and chronic pain, and its PI is the Professor of Biological Psychology Pedro J. Montoya Jiménez. The group’s scientific work has prioritised several lines of research. Notable areas include the analysis of brain activity in patients with fibromyalgia or rheumatoid arthritis; the study of electrical activity synchronisation in remote regions of the brain during therapeutic change processes in patients with anxiety disorders; the study of the importance behind variability and complexity or entropy of heart rate in anxiety disorders and their treatment among the child-youth and adult populations; and the risk factors and prevention of anxiety problems in childhood and adolescence. These last two areas of study, which are related to anxiety disorders and the child-youth population, are closely linked to the PROEM network’s open field of action in recent months. This collaboration thus aims to establish joint work towards improving research into adolescent mental health and emotional well-being. The University of the Balearic Islands has become the twelfth tertiary institution to participate in the PROEM network. Seven are members (University of Jaen, University of Cordoba, University of Deusto, the University of the Basque Country, the Rovira i Virgili University, the Complutense University and the Miguel Hernandez University); and the remaining five are partners (the UIB joined by the Autonomous University of Madrid, the University of Almeria, the Spanish National Distance Learning University and the University of Coimbra (Portugal)). The ‘Cognitive-Affective Neuroscience and Clinical Psychology’ group joins the other bodies and institutions from across different social and research domains that also collaborate with the PROEM network. These include the Les Corts Mental Health Centre, the Malaga Biomedical Research Institute, the Confederation of Psychopedagogy and Counseling Organizations in Spain (COPOE), the Provincial Technical Team for Educational and Vocational Guidance of the Government of Andalusia, TEA Ediciones, the Spanish Association for Mutual Assistance against Social Phobia and Anxiety Disorders (AMTAES), the Spanish Society for the Study of Anxiety and Stress (SAES), and the State Federation of Lesbian, Gay, Transsexual and Bisexual Individuals (FELGTB).